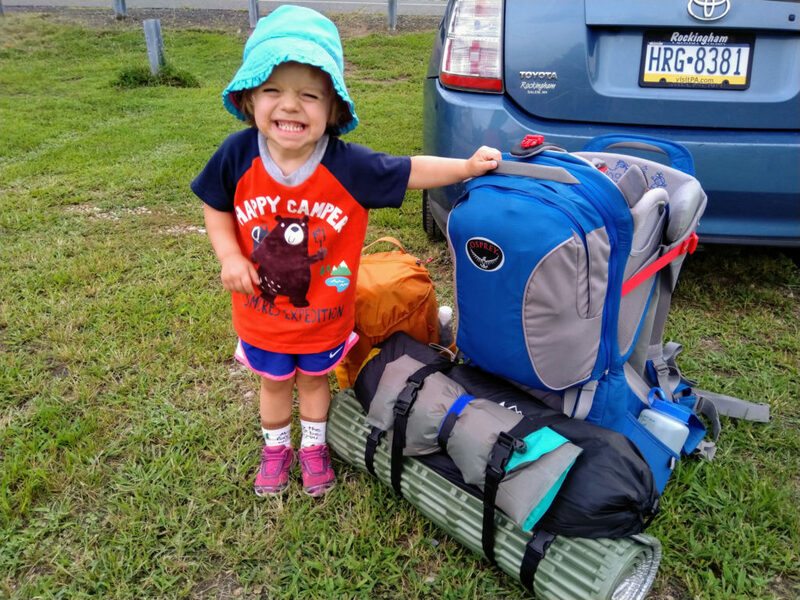 Alice Miranda, all-weather adventure girl, declared a last minute backpacking trip because, after all, those thunderstorms were only “sporadic.” In turn she got her first real taste of dad’s heartfelt belief in not wasting daylight on setting up camp. All packed up. This will always be one of my favorite photographs ever. We set out pretty close to Alice’s bedtime, trying to wait out rainstorms going on throughout the day, so she slept most of the way. 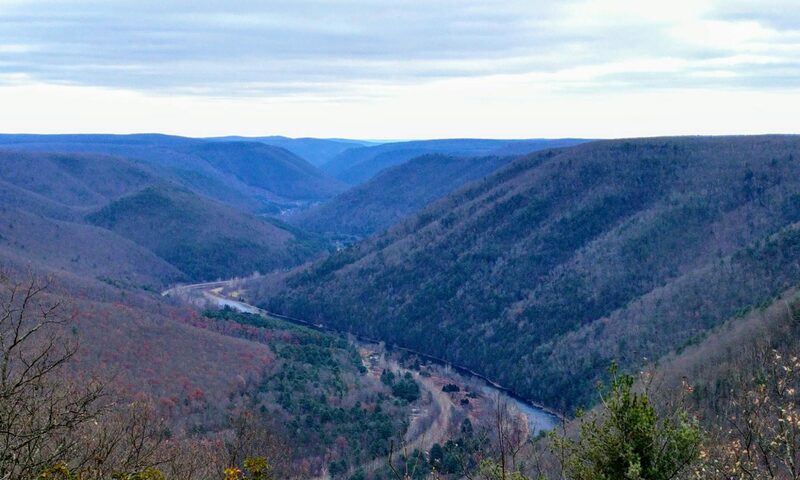 That was good, because night came on pretty quick and we did most of the hike in the dark. That included, for example, a hair-raising moment when we startled a deer immediately next to the trail. Alice fortunately slept on. 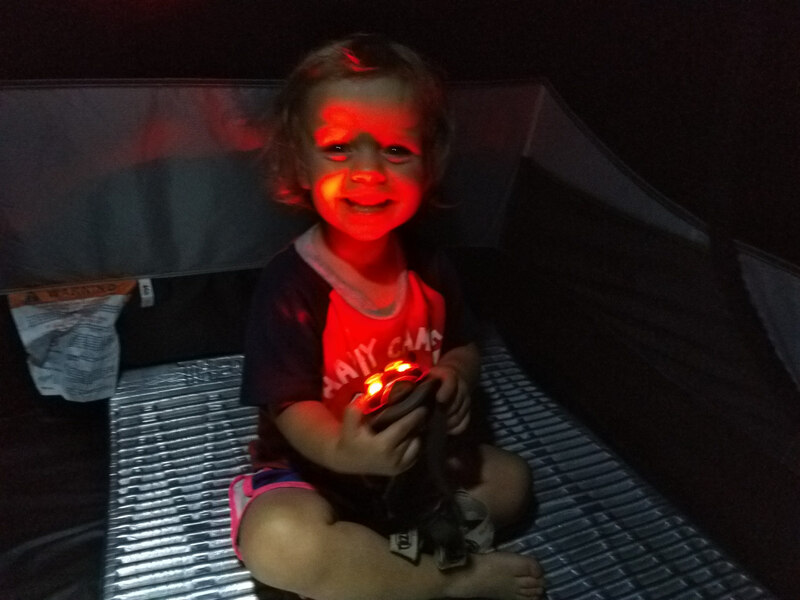 At camp we had a fun time playing with lights while we set up the tent and ate some snacks. I fear I have lost ownership of my preferred light, some cheap Energizer-branded lamp, because it has a red mode. 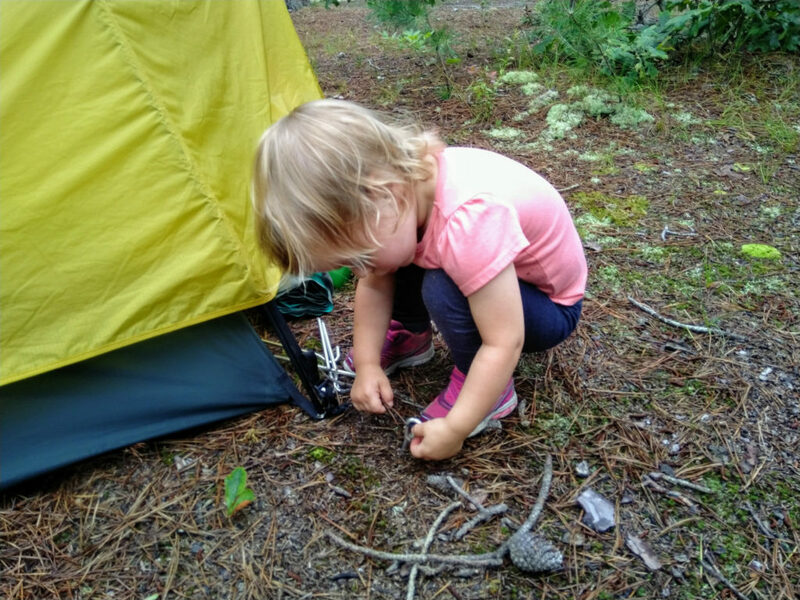 Alice knows a lot about putting up & taking down tents now! For example, she knows the most important part of putting one up: Let somebody else do it. But she also knows all about the stakes and the clips and the poles… she just can’t reach most of it. 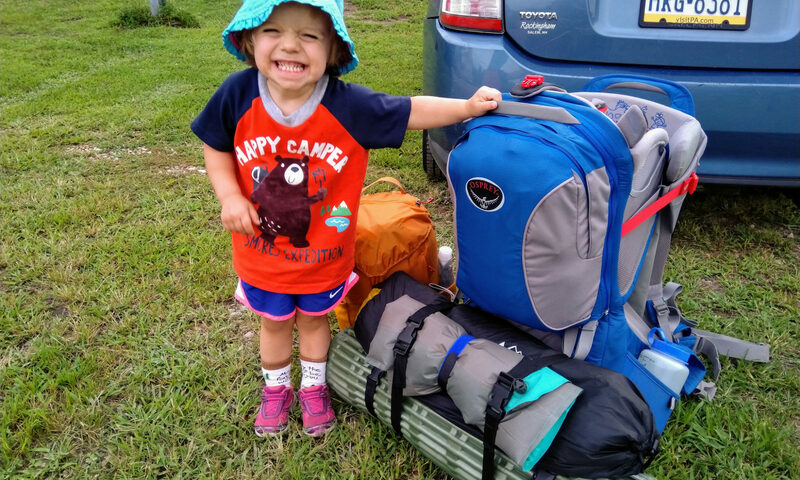 She has also identified a distinct hiking outfit: Her “Happy Camper” bear shirt, and had set it aside earlier in the week to wear on our trip.